I noticed bees from one of the hives bringing in pollen while I was at it. 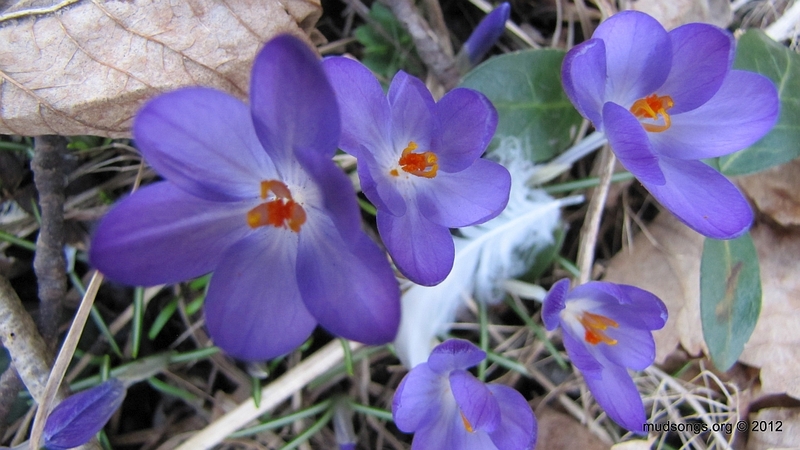 I looked around and saw these flowers — Crocuses, I assume — poking up through the dead colourless leaves and sticks around the front of ny house. I couldn’t get a good photo of the bees bringing in the pollen, but if you look at the anthers inside these flowers, that’s the exact colour of the pollen the bees were bringing in. I didn’t notice the bees bringing in pollen last year until April 13th. Way to go spring. It was almost 20°C when I took these photos. It was only about 7°C in the backyard today (45°F), but it was enough for the bees in one of my hives to bring in some pollen for the first time this year. 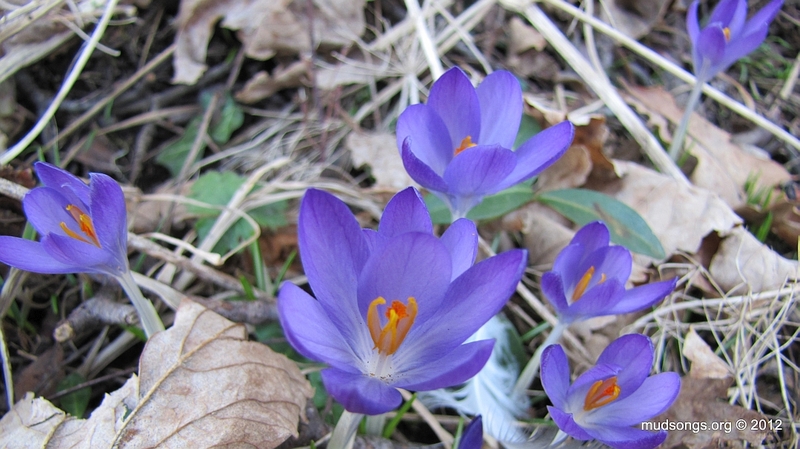 A friend of mine gave me these crocuses today. The bees were on them as soon as I put them in the ground, but the bees were bringing in loads more pollen than could be had from the few flowers in our yard. One of my neighbours must have planted a forest of flowers. I noticed the pollen on the bees today while I was adding some peppermint oil to the syrup in my newly installed jar feeders. I noticed the bees didn’t seem interested in the syrup from the original hive top feeders I had installed and I could tell they hadn’t touched a drop of syrup from the jar feeders. So I decided to add pure peppermint oil to the mix in the hopes that it might entice them to sample the syrup. (I also gave one of the hives a pollen patty and a candy cake just for kicks.) The next batch of syrup will have anise seed oil, which apparently drives them wild.